How Can Home Care Help Your Senior Establish and Follow Through with a Germ Control Approach? - All Care Hawaii. LLC. Keeping your parent healthy is an important part of being a family caregiver at any time of the year, but it takes on added importance during the months when illness and infection are most common, such as the fall and winter months, also known as cold and flu season. Since seniors have less effective immune systems than younger people they are more vulnerable to contracting such health issues and to suffering the potentially serious complications and consequences associated with them. Establishing a germ control approach is an important part of ensuring that your parent’s care routine is geared toward the prevention of illness and the minimization of negative consequences. Home care services can be extremely beneficial in the pursuit of better ongoing health for your aging parent in many ways, but one is helping your parent establish and follow through with a germ control approach. This approach is all about reducing the number of germs that your parent encounters on a regular basis and combating those germs in effective ways so that they have less chance of causing illness and infection. Starting home care for your aging parent can be one of the best decisions that you can make for them during the course of your caregiver journey with them. An in-home senior care services provider can be there with your elderly parent on a customized schedule to ensure that they have continued, consistent access to the care, assistance, and support that they need to manage their individual challenges and limitations. They can also help to pursue a lifestyle that is as active, engaged, and fulfilling as possible as they age in place. These highly personalized services can include safe and reliable transportation to where they need and want to go, assistance with personal care needs, physical support and assistance with mobility issues, help with fulfillment of activities of daily living, companionship, and more. As a family caregiver, it can give you tremendous peace of mind knowing that your senior is in good hands both when you are able to be with them and when you are not. 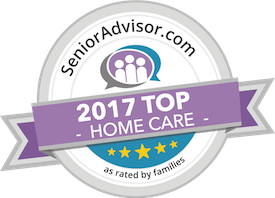 Have questions about home care services in Oahu, HI? Contact the caring staff at All Care Hawaii today.